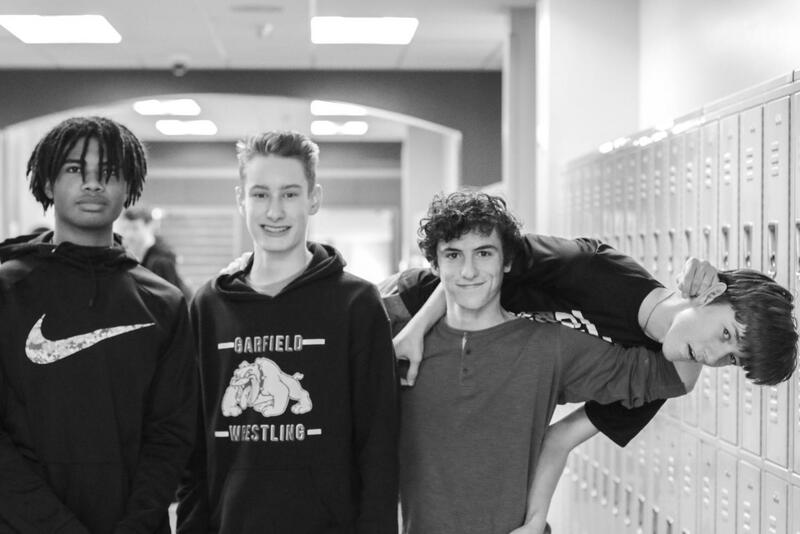 Learn more about Garfield’s winter sports. 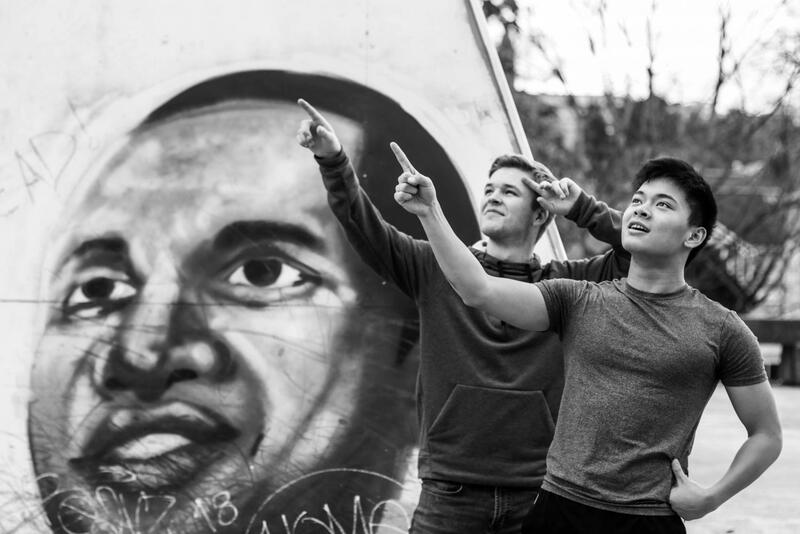 Captains Connor Zhang (front) and John Volk looking at the swim team’s bright future. Photo by Ben Mefford. Following an amazing run for the Lady Bullfrogs, the Garfield boys swim and dive team is ready for their turn. Captain and senior Connor Zhang cannot wait for his final season with his team. “I want to make [this season] as cool and as fun as I’ve had it these past three years,” Zhang said. As a captain, along with John Volk, Zhang admires the commitment the team has. “People are getting up at 6am to jump in a cold pool every morning. I am very proud of everyone,” Zhang said. The season’s biggest matchup is going to be against Bishop Blanchet High School. In true Garfield fashion, the Bullfrogs know how to work hard while finding ways to enjoy themselves. “We have traditions and fun that I haven’t found anywhere else,” Zhang said. Zhang is looking forward to his final season and hopes to see some more of Garfield cheering them on. 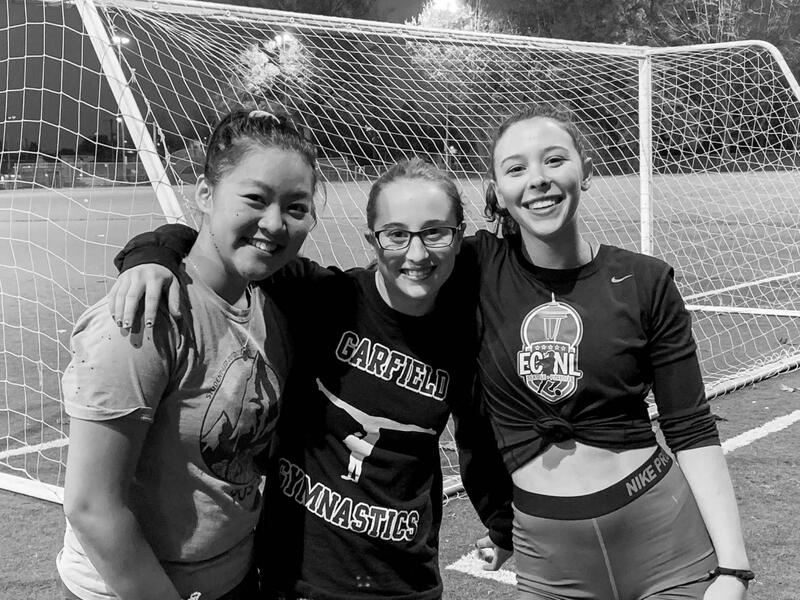 Gymnastics team members (R to L) Linda Phan, Natasha Wozniak, and Margot Mossis at a captain’s practice. Photo by Ben Mefford. In its second season since 2012, the Garfield girls gymnastics team is ready to make a name for themselves. Junior Rinn Schepman is excited for her second season with the newly resurrected gymnastics team. “I love the team, and getting to meet new people,” Schepman said. Another thing she loves about gymnastics is that everyone is a part of the team and can get involved even if they do not have a gymnastics background. “It’s not a tryout sport because we want everyone to compete,” Schepman said. Gymnastics prides itself on being inclusive and open for anyone who has a passion for the sport. “There’s no pressure to be really, really good. Everyone gets to participate,” Schepman said. The team has a coach all to themselves this year, after sharing coaches and a facility with Roosevelt’s gymnastics program. “He did college gymnastics, so we are pretty psyched,” Schepman said when describing their new coach, Mr. Tsang. With strong new leadership, Garfield gymnastics is set for success. Logan McAlister (3rd from left) and teammates practicing some moves in the hallway. Photo by Ben Mefford. The Garfield wrestling team’s Logan McAlister is excited for his fourth and final season as a Bulldog. Even though the season has not officially started, McAlister, a senior, is ready to leave his mark on the team. “I hope I can set an example of how to conduct yourself and cheer on other people,” McAlister said. As a freshman, McAlister saw the great community within the wrestling team and knew he wanted to be a part of it from the beginning. “I liked that it was built around encouraging people to push themselves, that was really powerful to a little freshman,” McAlister said. Like most sports, wrestling relies heavily on the work an individual is willing to put in, making commitment and a drive to do their best a must. “Whoever put in the most work wins the match,” McAlister said. To McAlister, failure is just a part of the process.